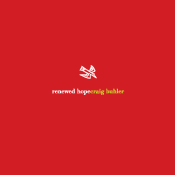 Don’t ask me anything biographical about Craig Buhler and I’ll tell you no lies as I haven’t a clue. But I do know one thing: he is the caliber of Chris West when getting around on assorted reeds. 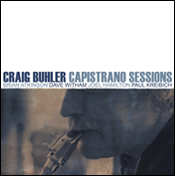 On “Capistrano Sessions”, he heads up a versatile quintet of two horns and rhythm that covers quite a bit of ground while he concentrates on alto, tenor, and clarinet. He also took the time to compose and arrange all eleven selections heard here. His frontline companion, Brian Atkinson, is no slouch either since he not only doubles on trumpet or flugelhorn but the vibes as well. This makes for some colorful change-ups music wise. If one were to judge the entire project from merely the first tune it might be easy to typecast it as just another Bop influenced date, but there is much more to come. This is due in large part to the skillful writing and use of the various horns at his and Atkinson’s disposal. 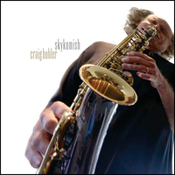 If one were to fast forward from the initial track to the final one, “Harbor Café Blues” with its almost Traditional Jazz flavorings, it wouldn’t be too farfetched to think someone had changed the disc on you. 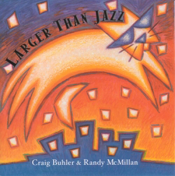 Those elements and others abound throughout this excellent program of thoughtful Jazz. This, along with the Pat Bianchi offering, constitute my picks of the litter. Check it out, you may be pleasantly surprised.